Who? Anyone! 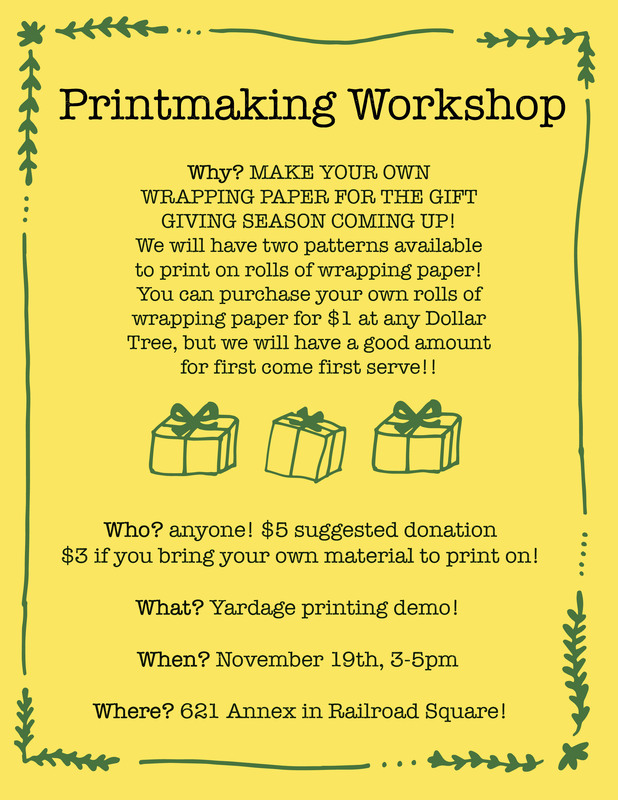 $5 suggested donation, $3 if you bring your own material to print on! Where? 621 Annex in Railroad Square! Why? MAKE YOUR OWN WRAPPING PAPER FOR THE GIFT GIVING SEASON COMING UP! We will have two patterns available to print on rolls of wrapping paper! You can purchase your own rolls of wrapping paper for $1 at any Dollar Tree, but we will have a good amount for first come first serve! !